I saw this print with the phrase "live what you love" on it. The idea stuck with me, and it seemed the perfect thing to wear around my wrist. 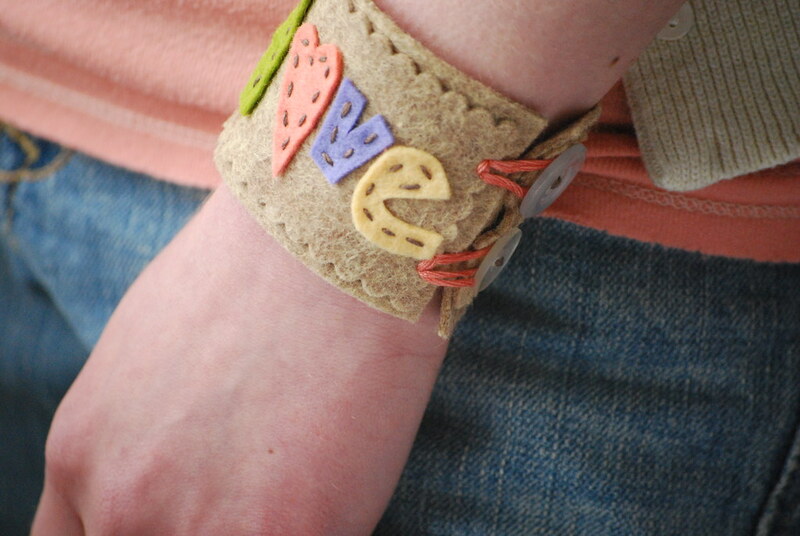 This, like the dandelion cuff from the other day, was inspired by the class I took last year with Elsie. 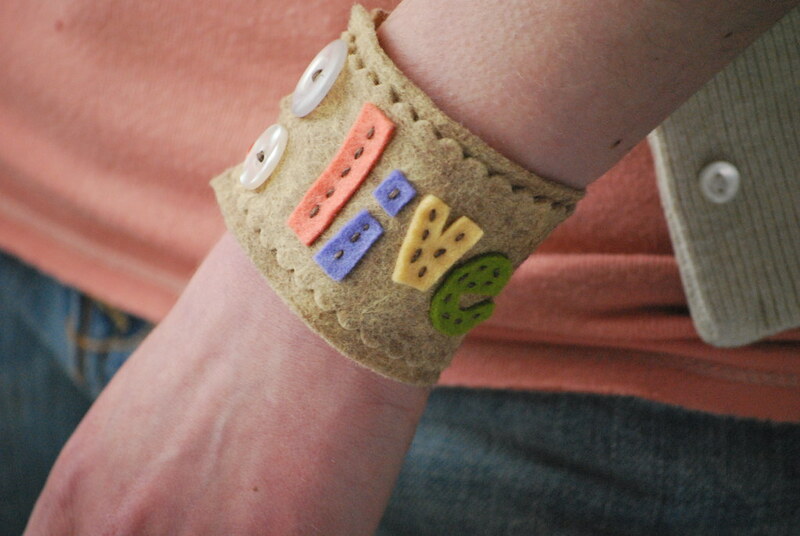 The base of the cuff is two layers of wool blend felt. 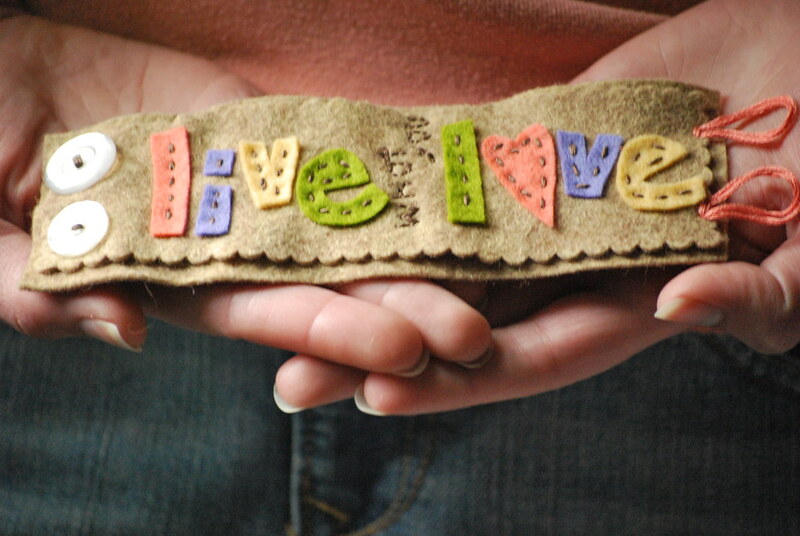 The letters were freehand cut from wool felt and I stitched through all the layers to hold the whole thing together. Two buttons were stitched on, and I just made the loops with embroidery floss. Simple and fun, yes? My time is escaping from me at a rapid rate right now, so this sort of thing is what I am doing for myself. The process of it is wonderful, and I end up with something that I need to remember. Live what you Love. Now I need another one (perhaps in matching colors to wear at the same time...or maybe that would be a bit much...) that says Make.Do.Create. that is adorable. love the saying too. This is fantastic! The colors, the style, the saying--perfect!